You can beg for mercy, but you probably won't find any. How does facing down your own cold death in PUBG make you feel? Now you can express your deepest thoughts and emotions on the battlefield thanks to a new test server update that gives you access to 12 emotes. More are on the way, and it's safe to say the new additions add a needed shot of personality to PUBG's fighters, who otherwise come across as mannequins with an inexplicable death wish. The emotes let you throw a hissy-fit, clap, taunt, laugh, and more. The funniest emote by far is "surrender," which causes your fighter to take a submissive stance with their hands in the air. Anyone who uses that when the fight is down to 10 people has a sense of humor worth celebrating. The test server update also introduces a PUBG friends list and adds main menu voice chat. 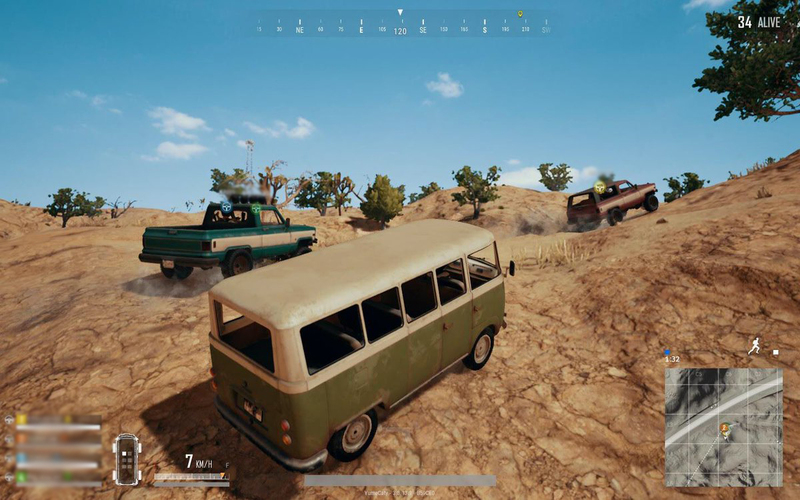 Up to 50 people can be your PUBG pal, and players can search for and add friends regardless of which platform they're using. It's a one-way follower system (no mutual acceptance required), and it's separate from Steam's friend list. You don't have to be friends on Steam to be friends in PUBG. Some tall buildings on the controversial Miramar map now have holes in their floors and ceilings to help players move around in them quickly. That's what we call a "poor man's elevator." Steam achievements are a thing now, too. I wonder if you can get one for running over your EiC with a buggy. "Get in loser, we're running over authority." Otherwise, the patch is stuffed full of the usual optimization improvements PUBG Corp recently promised to bear down on. In the update notes, the company admits it's still working on the bullet penetration problem that sees players block gunfire with their bare arms, but that fix needs a little more time. If you participate in the test server's big fun emote party, don't forget to share any feedback on the official PUBG test server forums. If all goes well, the emotes and other updates should go live sometime next week.